Throughout human history, the number 3 has always had a unique significance, but why? The ancient Greek philosopher, Pythagoras, postulated that the meaning behind numbers was deeply significant. In their eyes the number 3 was considered as the perfect number, the number of harmony, wisdom and understanding. It was also the number of time – past, present, future; birth, life, death; beginning, middle, end – it was the number of the divine. 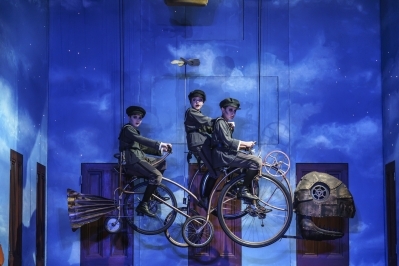 Three is often the magic number in fairy tales and this certainly rings true in our ‘visually sumptuous’ (Wales Arts Review) production of Mozart’s beloved The Magic Flute. 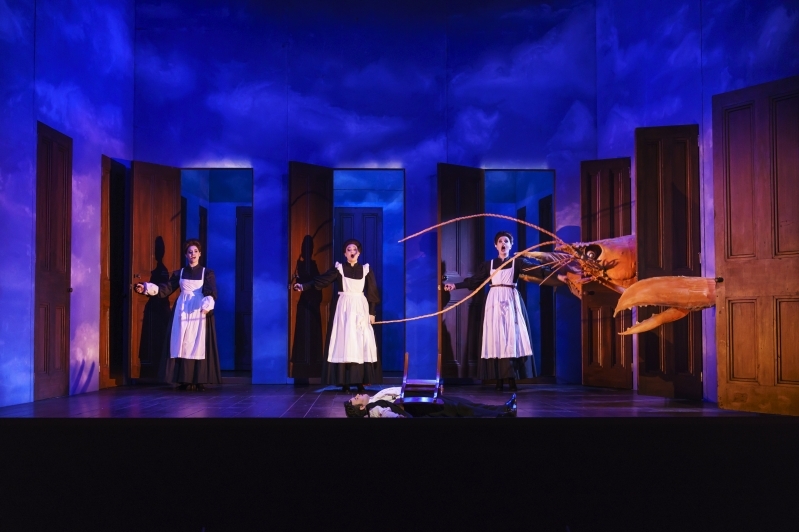 Our prince charming Tamino is rescued from a big orange lobster by Three Ladies – servants of the Queen of the Night - dressed as nannies or governesses, marking the beginning of his journey of self-discovery and enlightenment. During his quest he is guided by Three Boys who lead him to Sarastro’s temple (the spirits only appear in Sarastro’s kingdom). The number 3 is also associated with the Freemasons, of which Mozart and his librettist Schikaneder were members, and the theme of 3 appears repeatedly in the piece – both on stage and in the pit. The opera’s opening overture is written in Eb Major, which has 3 flats, and it begins with 3 chordal gestures, imitating the secret knock that masons would have used in Vienna at the time to gain access to their Lodges. Our irresistible production was designed by Julian Crouch and he emphasised the magical number by having 3 doors in each of the set’s 3 walls. Strength, beauty and wisdom also symbolize the 3 great pillars of the Lodges. Inscriptions upon the 3 temples refer to Nature, Reason and Wisdom, also of Masonic origin. To the Viennese of that day, political symbolism was easily and broadly interpreted; they saw the opera's Queen of the Night as no one other than their own Empress Maria Theresa, the hero Tamino was seen to be the “good” Emperor Joseph and the heroine Pamina was the Austrian people itself. Pythagoras believed that the number 3 stood for good fortune and following recent reviews for our revival production, we agree. Described by the critics as ‘an unabashedly entertaining evening of operatic pantomime’ (Bachtrack), don’t miss our re-telling of Mozart’s coming of age story at a theatre near you this Spring Season.